The Uhwarrie Mountains: A Mountain Adventure in Eastern N.C. 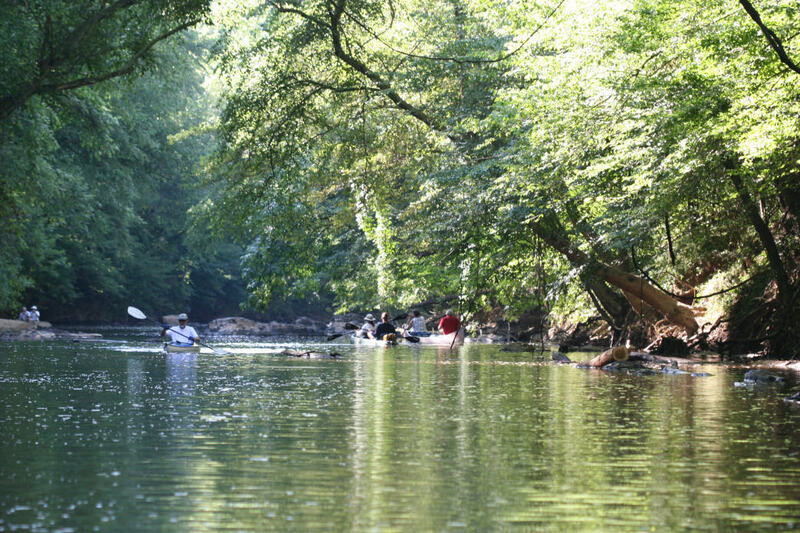 When Charlotte-area outdoor lovers look for mountain adventure, the prevailing wisdom is to head west. However, just an hour east of the Queen City, an amazing pocket of outdoor experiences is tucked into the ancient and rugged peaks of the Uwharries. Here, shady campsites cozy up to pristine lakes. Technical singletrack challenges mountain bikers and trail runners. And even from these moderately sized mountains, sweeping views of rolling green hills offer ample reward for steep hikes. 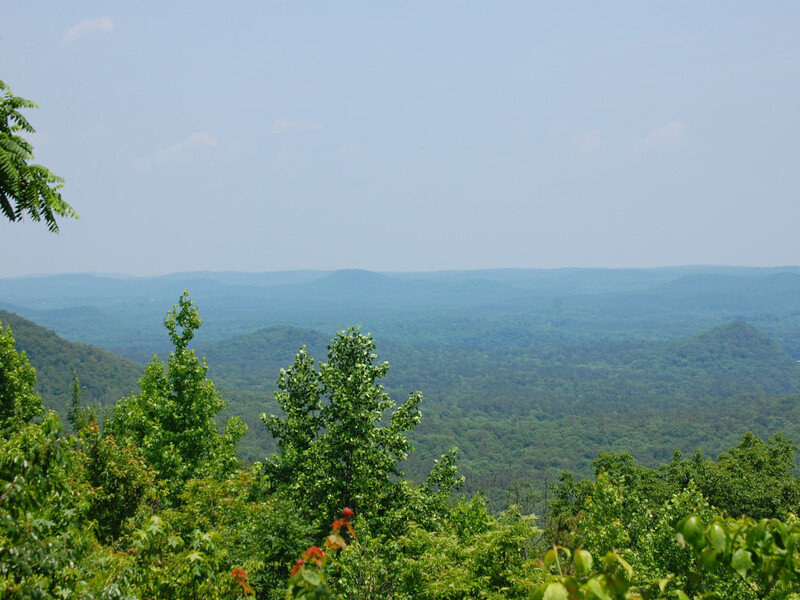 While the list of adventures to be found in the Uhwarrie National Forest and the adjacent Morrow Mountain State Park is extensive, here are some of the best to get you started. Don’t let the first 20 miles lull you into a false sense of security. 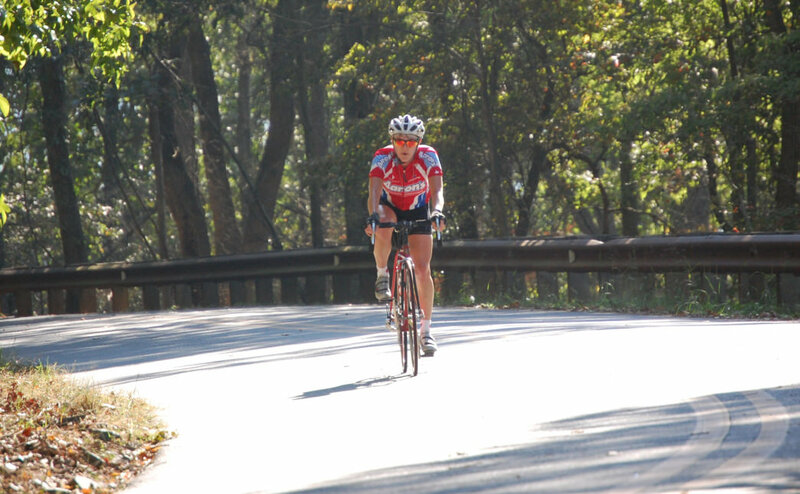 Rolling over the gentle hills and picturesque farmlands west of the state park is just the warm up to 60-mile loop known as The Assault on Morrow Mountain. The climb to the precipice of the namesake peak is a serious challenge, albeit a scenic one. The route begins and ends in the nearby town of Locust, N.C., and is one of the most iconic cycling challenges in the state east of the Blue Ridge Mountains. If you’re new to the area or just want a little extra encouragement, join one of the well-organized group rides held throughout spring and summer. One of the greatest attributes of the singletrack trail system that runs through Uwharrie is the rocky ground on which it was built. While its jarring bumps can present a challenge, it also allows for excellent drainage, making the trails rideable after rain while others remain a muddy mess. The four-trail system is a series of moderate to semi-strenuous hills, decent run-outs, and a few technical areas all presented under the secluded forest canopy of Uhwarrie. Wood Run Road bisects the trail system, allowing for an easy exit back to the trailhead, located approximately 10 miles east of Albermarle on N.C. Highway 24/27. Excellent fishing and a beautiful, tree-studded shoreline attract plenty of boaters to Badin Lake. So for stand-up paddleboarders, the trick to enjoying the lake is picking the right time. Early mornings, before recreational boaters begin their cross-lake tours, the deep waters of Badin are often glass-smooth. The brilliant hues of sunrise decorate the lake, creating an exhilarating morning mood. The Cove Boat Access Area is a popular launch site that’s within a reasonable paddle to several protected coves and islands to explore. 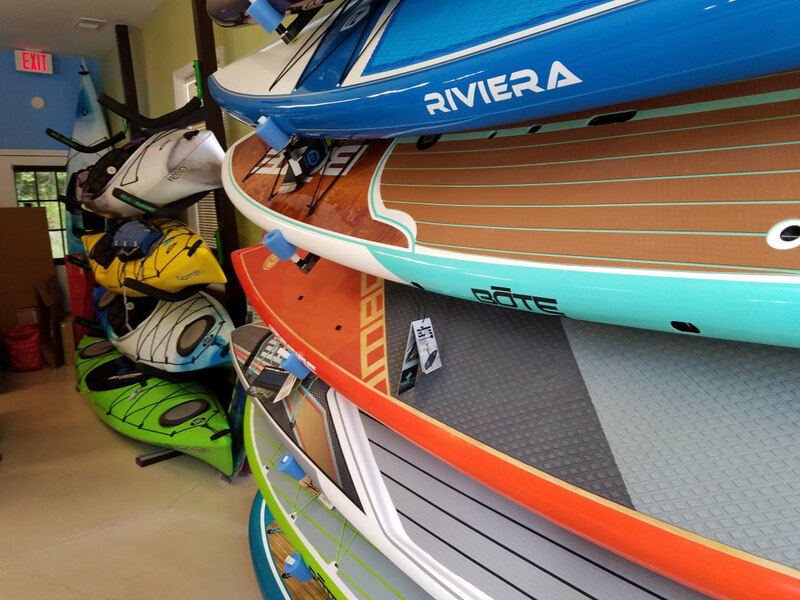 To get the beta you’ll need to explore any of the waterways in the area, visit the knowledgeable folks at Blueway Paddle and Surf. 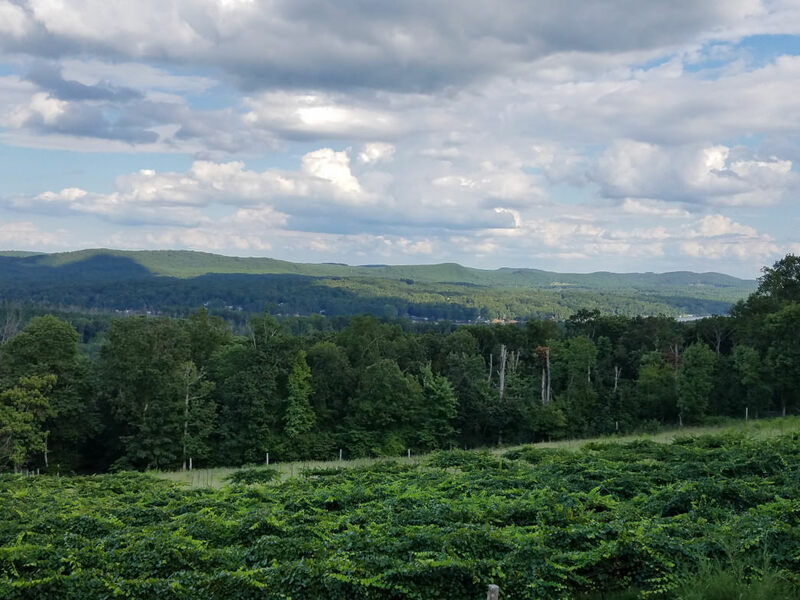 Even though the peaks of the ancient Uwharrie Mountains are a shadow of their former selves, thetrails here still make for formidable challenges for runners who attempt to traverse their rough terrain. Tight twists, unpredictable elevation changes, and a rocky surface create an agility training ground that rivals anything in the area. Far from a deterrent, these features bring runners from all around the Carolina Piedmont for recreational runs and several of the most challenging trail races each year. 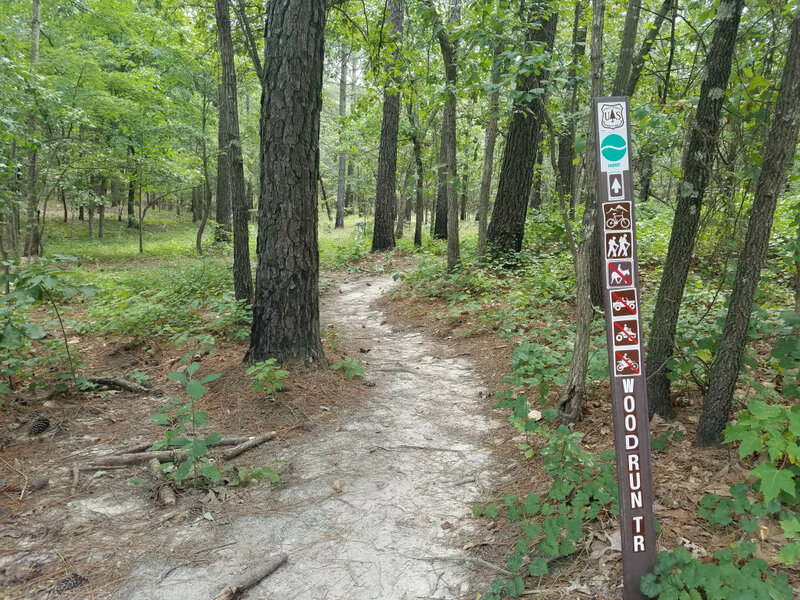 The 19-mile Uwharrie Trail and the 11-mile Dutchman’s Creek Trail both begin at Wood Run Parking Area and intertwine for long loop possibilities. 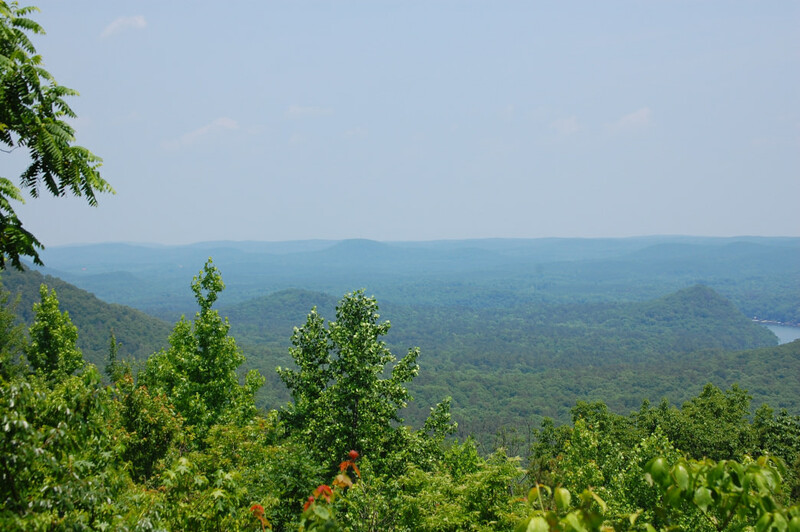 Morrow Mountain State Park sits at the western edge of the Uwharrie Mountain Range, and even if no other recreational facilities existed in the area, the park would be enough for a weekend full of activities. For paddlers, the well-appointed boat launch is a convenient gateway to the confluence of the PeeDee and Uhwarrie Rivers. The wide, slow-flowing river makes for an excellent introduction to flatwater paddling with the park offering boat rentals on site. For first time visitors to Morrow Mountain State Park, the long, slow climb up the Sugarloaf Mountain Trail can be a bit of a surprise. Rarely does one find a trail with more than 500 feet of elevation this far east of Charlotte. After a bit of huffing and puffing, however, newbies become believers: The 2.8-mile, quad-testing trail is no joke. When tallied up, Morrow Mountain State Park is home to around 15 miles of varied trail. The easiest access to the Sugarloaf Mountain Trail is from the horse trailer parking lot near the park’s entrance. Some Charlotteans visit the Uwharrie area as a day trip, as it’s only an hour’s drive from the Queen City. But to truly enjoy the beauty of the area and have plenty of time for a multisport adventure, take advantage of the excellent camping and lodging options. Rustic cabins in the state park, pack-in sites in the national forest, and plenty of family campgrounds offer a wide variety of overnight experiences. Badin Lake Campground, however, may be the best of the bunch. The westward-facing sights are well shaded and sit along the shore of the lake. And a cup of hot coffee with a view of the brightening horizon while you plan for a paddle or hike is a pretty fantastic way to start your day. In this neck of the woods, the views don’t stop when you leave the trail. Stoney Mountain Vineyards is a small, family-owned winery that sits atop a knoll with a sweeping view of the Uhwarrie Mountain Range. Their wines run the spectrum from sweet to dry, and their open and friendly outdoor deck is the perfect place for a post adventure picnic. When you’re post-hike hungry, the idea of a long drive before dinner isn’t terribly appealing. Luckily, Off the Square in Albemarle is just a few minutes’ drive from Morrow Mountain. The cozy restaurant offers a great burger, and the roasted pork or braised brisket pair equally well with a tasty craft beer.